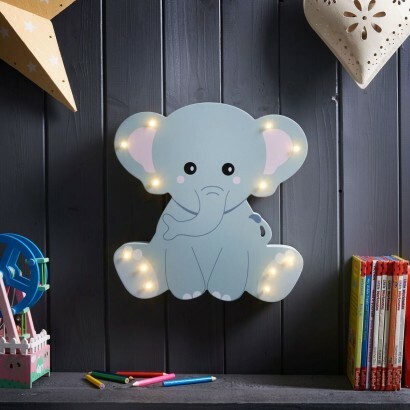 Brighten up kids rooms and nurseries with an adorable elephant decoration that's lit with twelve warm white LEDs to give a beautiful fairy lit effect. 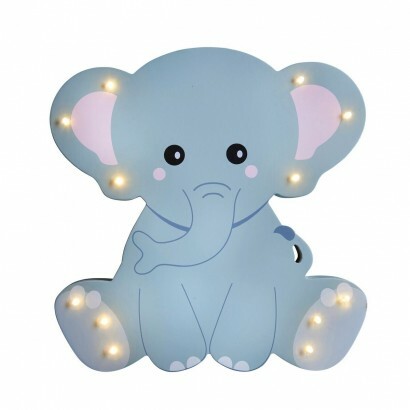 Crafted from MDF, this super sweet elephant decoration can be free standing or wall mounted, and battery operated, can be placed anywhere in your child's room or nursery as a friendly face that's warm and engaging. With a simple on/off function, switch on at bedtime for enchanting lighting that offers extra comfort and reassurance at night.